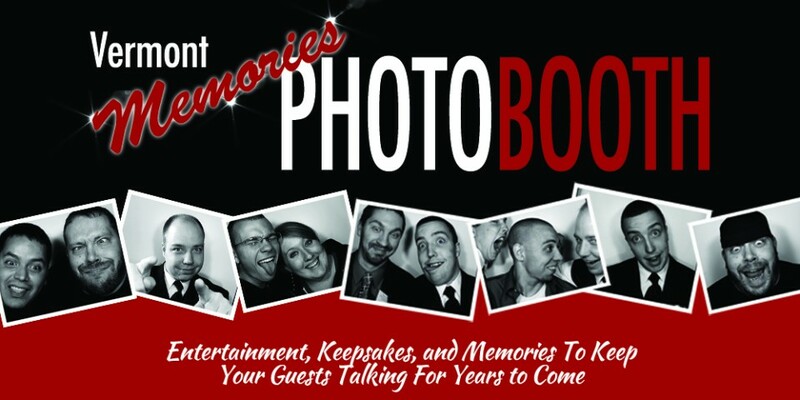 Rental Information | Vermont Memories Photo Booth Co.
Aside from being modern and elegant, our Vermont Memories booths are real photo booths. Our booths is perfect for any and every event. Our elegant appearance is intended to be aesthetically pleasing while simultaneously encouraging your guests to take keepsake photos that will they will have for years to come. Step inside and enjoy the unforgettable moments we that our photo booth will capture like no other. With Vermont Memories we encourage you to summit a custom logo or monogram of your choice to help customize you photo strips or 4x6s. If you are having a hard time designing one or finding one, it’s no problem! Simply let us know at least a week before your even and we will be happy to design one for you at no additional cost. Wherever there’s a Vermont Memories Photo Booth, there’s a trusty Vermont Memories Attendant nearby. These highly trained individuals are professional, fun and skilled in all things photo booth related. While our booths are fully equipped to function on their own, our staff will be there to ensure all equipment is running smoothly and encourage guests to cut loose and have some fun. From handing out props to holding helping folks navigate the touch screen, they’ve got you covered. More is better! There is no limit to the number of prints you will take home with you! Our booth is the fastest photo booth on the planet earth is short so you and your guests can enjoy the booth over and over again. From flash to print, the whole process is a snap fast printing, cutting and zero dry time needed means that from the time your last photo is snapped your photos are ready to go in just 7 seconds! Whether you choose our traditional double strips of 3 photos or one of our frame-able 4×6 layouts, you’ll have high quality prints faster than a photographer can say “smile”. At Vermont Memories our opinion is that “And” is much better then “or.” Our booth is capable of doing color and black & white copies so why not give your guests the best of both worlds and let them choose how they want their prints to look. Of course if you would rather have all photos in color or all photos in black & white, we can do that too! Your wish is our command. It’s your event, with your friends, family, coworkers of course you are going to want copies of every photo and video that your guests capture during their photo booth sessions. What you do with the copies is completely up to you, make a scrap book, build a slide show, print copies to hang on your wall, upload them and share them, or our personal favorite use the embarrassing ones for blackmail! (of course all in good fun) The best part is we will give you a copy of all of your event photos and videos on a thumb drive for free!